I use a similar system. I have some 3 pocket sleeves for the coupons I print from online too. 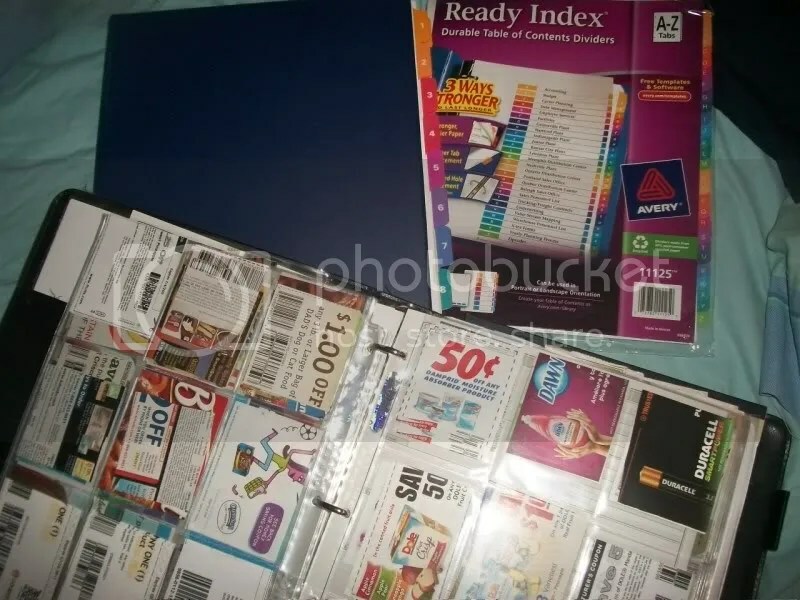 A good idea is to find family or friends willing to trade coupons with. we don’t use diaper coupons but I clip them anyway for friends with kids. Its also good to be a coupon fairy. Leave your unused coupons on top of the items they are for in the store. Love your blog Sara. Keep up the great work. Thanks, Chris!! I love the coupon fairy!! I’ve found some great coupons for Bounce dryer bar and some other things. I’ve started doing it, too. I’ve walked up to people in the store with the item in their cart and given them a coupon for it. They’re usually pretty grateful. They have 4 pocket currency binder pages now! I just ordered 100. Perfect sized for printed coupons. I thought I’d share my killer take at Kroger today. My Kroger triples coupons up to $.50 (limit 2 like items). I forgot to mention they have buy4 P&G items get $1 off each. I bought 2 Herbal Essence Gel and 2 Herbal Essence Mouse which were 1.99 ea after the $1 off. I used 4 $1/1 coupons to make them .99 each.